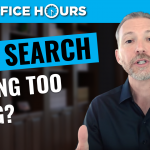 Join career expert and award-winning author Andrew LaCivita for this video on how to stay positive during your job search with these 5 metrics! TODAY’S TOPIC: STAY POSITIVE DURING YOUR JOB SEARCH WITH THESE 5 METRICS! Join me for this video to learn how to stay positive in your job search. First, you need to know why you get frustrated and how you can not only immediately change your perspective, but also your result. It’s not just about being happy. It’s about finding that right job! 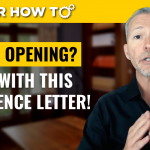 Join me as I take you through the downs, then ups using the best 5 metrics that will help you dial in the right job search tactics and also have a much better understanding of the health of your job search. Whether you’re unhappy, confused, frustrated, or simply want a better approach, this video is for you!